Discovered by accident. Free books that are good. A reader that works trouble free. Even the books that aren’t free are very inexpensive. Downloaded, signed up and now it won’t let me sign in. Locked on its intro page with ‘Hi’. Don’t understand Harlequin endorsing this. This is a terrible app! It frequently will not open, does not synch well between devices is NOT easy to use and maneuver, and I have no need for “It” to tell me I am meeting goals “It” set for me. That it is free still makes it no bargain! Signed up for program and downloaded app! Won’t let me sign or login. So how do I get to the program? Every morning I have to delete the app from my iPad and download it. Every morning! That’s the only way I can read my books and it’s getting old fast. Why in the world did harlequin change to this app? Drains battery and will not allow the iPad to “ go to sleep” if the app is open. I hate it. I just downloaded the app and tried to sign in or creat an account. The app stops at the create page and simply returns to the sign-in page. I have now deleted it. I recommend people go with Kindle. I have never had a problem with that app. Won’t let me create an account. Create an account screen bounces up and down. Have to log in 2 or 3 times from another app to get to the book I want to read. Not much customization to make the screens easier to read. Forced into this because my ebook provider switched over to this platform. It’s like going backwards 20 years in technology. And I’m using an iPad. Not a knockoff! I was supposed to get a free eBook from a partnership they have with the Wall Street Journal. Every time I tap on the link in my email to start reading the book, the app opens and shows “failed.” Then the app crashes. I’ve gone back into the app and see no book in my library. If you’re redeeming the WSJ+ offer, keep in mind that the app may not work. Nice app. 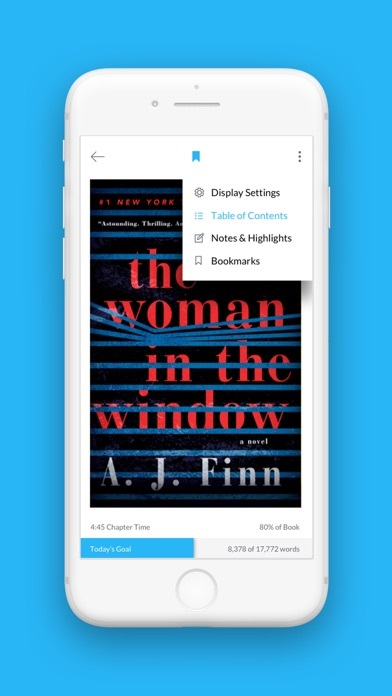 Keeps track of reading, has a bunch of neat reading features and looks nice. I’m a huge fan of Spartan, and I’ve completed several races. This look back into the early days was very enjoyable. I appreciate the nutrition advice contained in the book, particularly the common sense approach to nutrition. My alarm clock will never be the same again! This is the second time that I have started a book on this app and once again I am locked out. I tried logging in, but hitting the log-in button does absolutely nothing. Had a login issue and now the app is working. Overall, not bad. Will see how it goes compared to similar apps. So far it’s ok. Just getting accustomed to it. I can’t say enough about their selection of books. They have an awesome selection in every genre - even free books. The app is so easy to use and is packed with features. I love that I can read on all my devices and customize my reading experience by changing the fonts, font size, line spacing, and more. Absolutely the best reader available! An eye opening book to doing things differently. I yelled a lot with lots of poor excuses. I had mostly stopped yelling by the time I read this book but I love how it relates to all of our relationships- not just the parent-child one. I appreciate a view that starts with the only person I have control over- me. I keep thinking of the people I think should read it and then remember to glean as much from it as I can, share it as I go and keep learning. I am still growing in how I relate to my husband, my youth, and my friends as I get further into the book! OK when it doesn’t freeze. Two problems: it freezes about one out of every third time I use it and I have to delete it and download it again. Also if you inadvertently touch the screen it shows you a definition of the word you touched, which is OK except there is no way to get the definition to go away. The functionality of the app is pretty good and it does sync between devices silently. The one fault I have with it is that it stays up even when idle for a long time so it will then consume power unnecessarily rather than timing out and allowing the screen to go dark. As far as I can tell, this is not adjustable. Hey developers, fix that and you've got a 5 star app. Useless when I tried to download a WSJ free book. This app will not let me establish an account or logon. It keeps giving me error messages with no clues on how to fix a problem. This is a useless app. It does not support Windows OS so can not use on 90% of computers. Unless you want to read thru browser, which does not allow downloads. It is limited to only a few e-readers, so if you do not have that e-reader, too bad. It also does not allow loading side content. Unfortunately, Harlequin made the bone-headed decision to only allow access of its ebooks thru this app, so goodbye Harlequin. While the reading is good there isn’t enough information on using the App. And it would be helpful to get more information on pages read and position in the book. I feel the number of words isn’t enough. I love being able to read books using the Spritz method. I've improved my reading speed from 130 wpm to 400 wpm. That said, I'm struggling with the latest version of Bookshout. I tend to switch back and forth between Spritz mode and normal reading mode. In the previous version I could do this with one click. Now I have to click the ellipsis symbol, click on Display Settings, choose a reading mode, and finally click the back arrow, losing some of the time saved by reading faster to time spent navigating the app. Really happy with the new look and feel since the latest update! Easy to navigate and use! This app could be good. But, since it’s not accessible with VoiceOver. It’s not good. I can’t recommend it to my Blind friends. Where is the search function and what is wrong with navigation? I am trying to search my own book and can’t get to the correct page. It’s awful!!! Why is the app not opening? Maybe you need to update. This app is VERY frustrating! Often, when I’m traveling, I find the app doesn’t work. I can’t log on and get to my stored books. It is infuriating when this is one’s only source of material. Also, they give you s bit of coin for reading x amount of words-which is nice-but where do you go to see how much you’ve got in total? I’ve been on their website and all you can see are the charges for any book you might buy but nothing to tell you what credits you’ve got in the bank! This app does not work. Avoid. The app won’t let me open my book at all. Looks really nice, but somehow jumped to the end of the book and I don't see a way to navigate to where I was short of just flipping through all the pages as bringing up the TOC causes it to crash after about 6 seconds. But sure, it wad a lovely app for about 3 pages. As a client who has travelled with A&K numerous times, it was fascinating to read about its history. Kudos to Geoffrey Kent for always persevering and believing in the true spirit of those who long for the life changing adventure of a lifetime. I’m traveling with A&K in August - return safari to Kenya & Tanzania—-cannot express how excited I am. 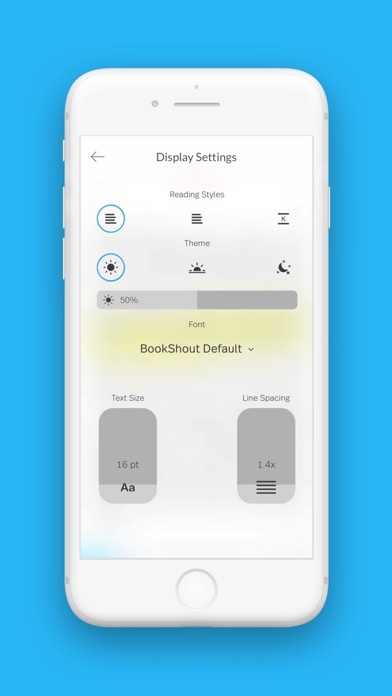 Not only are the books here flawlessly presented and your bookshelves easy to organize, there is a speed reading function that is like nothing I’ve ever seen before, and I’ve tried them all. Not only was I able to increase my reading speed, my retention went through the roof and the most relevant information of the book stayed with me long after the book was finished. It was also hard to miss the main points of the book with this feature. 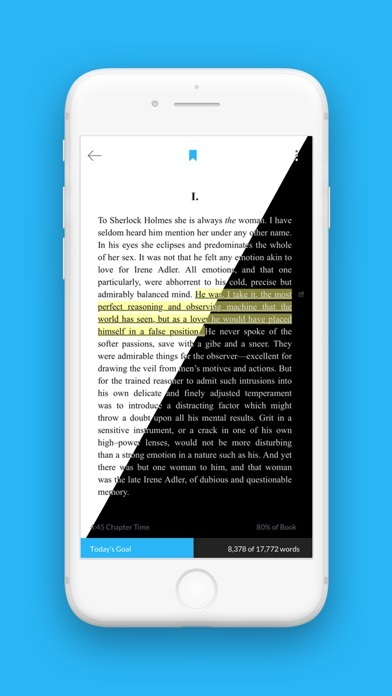 There are other goodies in this app that help keep the reader on track. This is the app I’ll most likely use for all my future non-fiction reading. Love it, stunned by it, appreciative of its development. I was forced to use this app thanks to Harlequin. Now all my books are out of order and it’s such a pain to navigate. Their search features are limited and look awful. I’m not sure if they ever designed the app with a true reader in mind. I hope you all downloaded your books before the switch happened so you will never be forced to use this app. I’ve tried many ebook competitors and none have compared to the flexibility that BookShout offers. I am extremely dyslexic but with the OpenDyslexic font option I’ve increased my reading spending from 145 to 170. I couldn’t recommend it enough! I downloaded this in order to take advantage of a offer through which I could get a free book. I found that whatever books I download are essentially locked within the app, so that I can't save a copy of the book to put on my other e-book reader. There's no way I would spend money to buy a book on BookShout, if I can't save a copy. I also don't much care for all the statistics and time-tracking either (for one thing, they're distracting), but there is no option that I can find to shut them off. I just want to read for enjoyment and relaxation and I don't want to make a contest out of it. (edit) To make a long story short, I'll look elsewhere for e-books, not BookShout. For some reason the pages will start running backwards and it is difficult to control the movement. When it is stopped, a listing in the dictionary appears. I enlarge the page and then the word “done” appears in the upper right corner. I press the “done” and the it returns to a page in the book I then return to the page I was last reading. I’m tired of being interrupted when I reading to give a review. So here is my review. It’s too bad I have to be interrupted while reading For a review or yellow stars coming up when I read so much. I’m the type when I read I want to pay attention to what I’m reading and not be bothered by junk.......I’m a big girl and don’t need to be given praise for reading. This is an unwieldy app. I sign in with the WSJ to get my monthly book. Bookshout on one of my iPads will not allow me to sign out and will not connect to any of my books. I have tried to delete the app and then download it again to no avail. Also this app is very annoying in sending me my so called reading speed and amount I have read each day without apparently understanding that it is likely that I am also reading on other apps and other material. This app is great when it works but around 50% of the time it doesn’t open and doesn’t respond when I put my finger on login button. Very frustrating as then I can’t read my book. Mysteriously the next day opens right to where I left off. Major bug and I don’t recommend versus apple or kindle readers. Worked for 2 days but now doesn’t. Half way through my book and I have to go buy it from iBooks. When I read on kindle for ipad, it will turn itself off after a period of activity. This app does not seem to offer that setting, so my battery runs down if i fall asleep reading. I can’t get to my books. I get ads and sent to publisher sites. I just want to open my saved book and read. I am not sure why someone would want to write such an evil novel. Nice books but there are no instructions. Impossible to navigate around the app. Very frustrating. I deleted it. While I was able to read a book, switching between my iPhone and iPad was annoying. I could not pick up from where I left off on the other device. If the iPad is home and I’m out somewhere,I have to flip through pages until I recognise where I last read. I also hate to keep logging in when starting the app. I found that if I kill the app and start it again it would not ask for my credentials. I’ve tried for three months to access a free book using WSJ+. Book never downloads. I like that it sends you a reminder to read and an email that tells you how much you read the day before but it is very twitchy when flipping the pages. It seems to not count a page if it appears you’re reading faster than it thinks you should be able to read. I actually read faster than it says and have ha to go back a page or two to get it counted. Also, maybe not an email everyday with totals. I like to read but I don’t want to be reminded each morning that life happens. Also, while book. Shout bucks are great there are so any books you can’t use then on which kind of negates earning them. So many bugs I can’t even sign up for an account. I struggled with syncing my reading across a couple devices. The app doesn’t always take you to the last spot read on your previous device. Because of the issue I have maintained all my reading on one device. It’s a big inconvenience when you are used to Kindle, for example. Why bother providing an App where it doesn’t work? Latest update took away the ability to tell how many words you have read - it only indicates when you have reached the daily goal. I liked that it told you how many words because I always read way beyond the goal, but now I can’t see how much I have read. It was already frustrating because at the end of each chapter it seemed to lose some of your total words, and the only way to get them back was to go back to the end of the previous chapter long enough to read it again before proceeding. PLEASE FIX! Their books are sometimes frustrating to order. You pick a book for your cart, and when you go to pay the cart is empty. So you have to repeat sometimes 3-4 times before you can get the book. Also, they may have the same book as BookBub at the same price. But then they add taxes. A few cents here and there adds up. Sometimes I get so frustrated trying to order that I just go to BookBub and save a few cents with no order frustration. Also, they do not display the time like BookBub does. So you have to back out of the application to check the time. Same thing to check battery charge. Annoying. I do like seeing how much I’ve read and seeing my ranking compared to others. That’s why I use BookShout. It compensates for some of the annoyance. 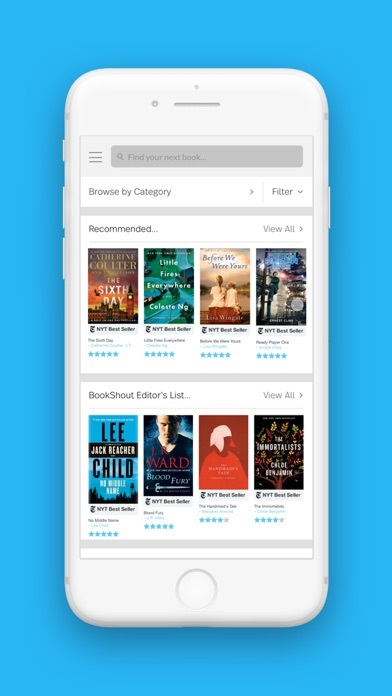 Great app ,with an amazing supply of Books. Had to sign up to download any book from their website. Poor collection of books. The reader doesn't work on Apple Watch. Just says coming soon. 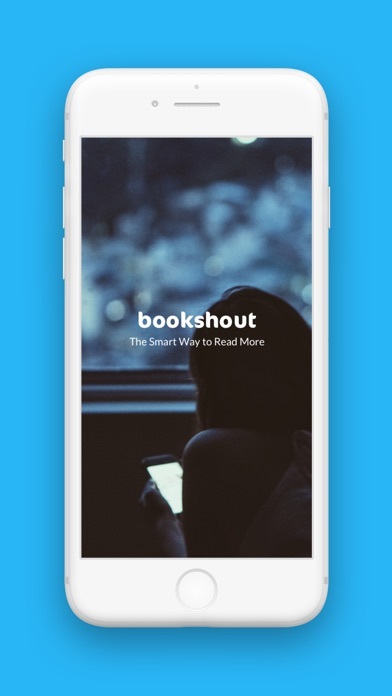 Really love the fact that this app pushes me to read every day. Definitely, recommend to anyone who wants to push themselves to read and beat out your friend's score. Also, love the fact they girl you money for actually reading. Which you could use to buy books with. I downloaded this in order to take advantage of a offer through which I could get a free book. I found that whatever books I download are essentially locked within the app, so that I can't save a copy of the book to put on my other e-book reader. There's no way I would spend money to buy a book on BookShout, if I can't save a copy. I also don't much care for all the statistics and time-tracking either (for one thing, they're distracting), but there is no option that I can find to shut them off. I just want to read for enjoyment and relaxation and I don't want to make a contest out of it. (edit) I guess what really bothers me is the vague feeling that my reading is in some way being monitored. To make a long story short, I'll look elsewhere for e-books, not BookShout. This app is incredibly and frustratingly buggy. Examples: - Books often open to a random location, sometimes the beginning of the chapter you were on, rarely where you left off - When clicking on a footnote, it often leaps to a random footnote from chapter 1 rather than the footnote you wanted - There is bizarre highlighting behavior that seems to happen almost anytime you want to turn the page and turns the screen into an unreadable jumbled mess. Will not be buying a second book on this app. I read the book after seeing the movie. It was great. I want to see the movie again.